The captain of the capsized Costa Concordia luxury liner has been convicted of multiple charges of manslaughter and sentenced to 16 years in jail. Francesco Schettino was not present when Judge Giovanni Puliatti read out the verdict in a theatre in Grosseto, Italy. The verdict and sentencing brought a close to a trial that has been running since July 2013. Schettino was convicted of manslaughter in relation to the deaths of 32 passengers and crew in the January 13 2012 capsizing as well as of causing a shipwreck and abandoning ship while many of the 4,200 passengers and crew were still on board. Prosecutors had insisted Schettino was a "reckless idiot" and asked the court to sentence him to 26 years and three months in prison. But the former captain told the court earlier he was being "sacrificed" to safeguard the economic interests of his employer. He then broke down in sobs immediately before the panel began deliberating. 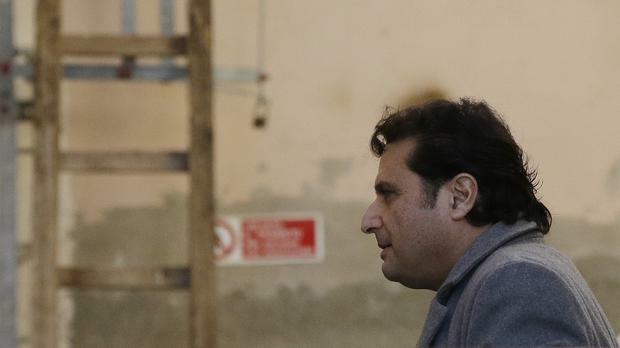 "That's enough," Schettino said, unable to finish his statement to the three-judge panel. Testimony put the spotlight on errors by other crew and equipment malfunctions after the Concordia smashed into a jagged reef when Schettino steered the ship close to the Tuscan island's shoreline while passengers were having supper in the main dining room. The reef gashed the hull, seawater rushed in, and the Concordia listed badly, finally ending up on its side outside Giglio's port. Autopsies determined that victims drowned aboard ship or in the sea after either falling or jumping off the ship during a chaotic, delayed evacuation. Schettino said he was "a few hours from a verdict that should have involved an entire organisation and instead sees me as the only defendant". "My head was sacrificed to serve economic interests," the 54-year-old Neapolitan seaman told the court. Lawyers for many of the survivors and victims' families have attached civil suits to the criminal trial to press the court to order Costa Crociere SpA, the Italian cruise company, to pay hefty damages. While insisting Schettino deserves conviction and a stiff prison sentence, the plaintiffs' lawyers have lamented to the court that no one from the cruise company's upper echelons was put on trial. The court rejected prosecutors' requests that Schettino be immediately arrested. In Italy, defendants have two levels of appeals and sentences do not begin being served until those appeals are exhausted.